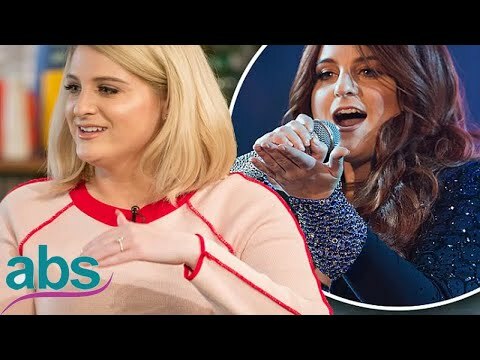 Meghan Trainor felt possessed? The 24-year-old singer went under the knife for vocal surgery in 2016 for a second time after previously having a hemorrhaged vocal chord repaired in 2015, and after previously revealing her medical issues left her battling depression, she’s now admitted she feared she had “gone crazy” because she was in such a “dark place” and couldn’t properly rest without fearing she wouldn’t wake up again. She said: “After surgery I hit rock bottom. I felt like I was possessed and demons were attacking me. I literally felt I had gone crazy. I thought I was schizophrenic. “Mentally, I went to a really dark, dark place. I couldn’t really speak for four months due to surgery. “It was really unhealthy for me. All your thoughts become internalised. You feel alone in your head. “It is a terrible place to be. I couldn’t sleep because I was terrified I wouldn’t wake up in the morning. Thankfully, the ‘No Excuses’ singer has recovered thanks to a team of doctors, therapists and psychologists, but admitted it was a “hard process”. And Meghan – who is engaged to ‘Spy Kids’ actor Daryl Sabara – has never felt better and hopes her story can give hope to others suffering from similar issues. She told the Daily Star Sunday newspaper: “I struggled with the fact it was all in my brain, because I couldn’t stop torturing myself. “It was a hard process. I managed to crawl out of a dark hole. And now I have, I have never been better.